Are you Tired of your Porcelain or Fiberglass tub looking dingy? Do your bathroom or kitchen COUNTERTOPS need a pick-me-up? At JRS RESURFACING, we make it our goal to provide you with quality resurfacing, reglazing and refinishing services that will make your home feel like new again. 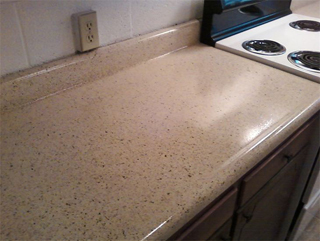 Whether you're looking to resurface a countertop or reglaze a fiberglass or porcelain tub without the hassle of replacing the old one, we've got the professional services and workers to get the job done right. Give us a call today at 919-667-4170 to talk about the Resurfacing, reglazing and refinishing of your tub, tile and countertops. 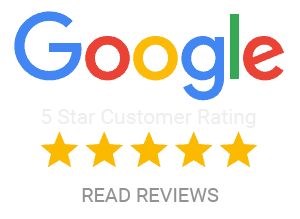 We're eager to with you every step of the way to ensure you Quality Service. Thinking of updating your Kitchen or Bathroom? 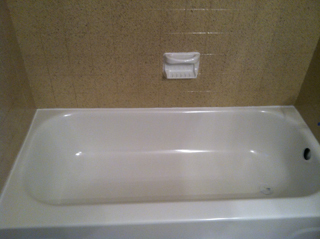 Is Your Fiberglass Tub/Shower looking old? Do you want to bring it back to life? 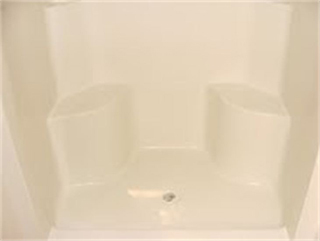 Has your porcelain tub become dull or hard to clean? We're the refinishers that operate like a well oiled machine!